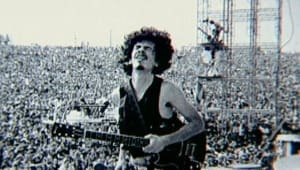 Big Hits: "Oye Como Va" and "Black Magic Woman"
Born on July 20, 1947, in Autlán de Navarro, Mexico, Carlos Santana moved to San Francisco in the early 1960s, where he formed the Santana Blues Band in 1966. The band, later simply known as Santana, signed a contract with Columbia Records, with Carlos becoming the consistent front man. Throughout the 1970s and early &apos;80s, Santana released a string of successful albums such as Abraxas, Lotus and Amigos, making a big comeback in 1999 with the Grammy-winning Supernatural. 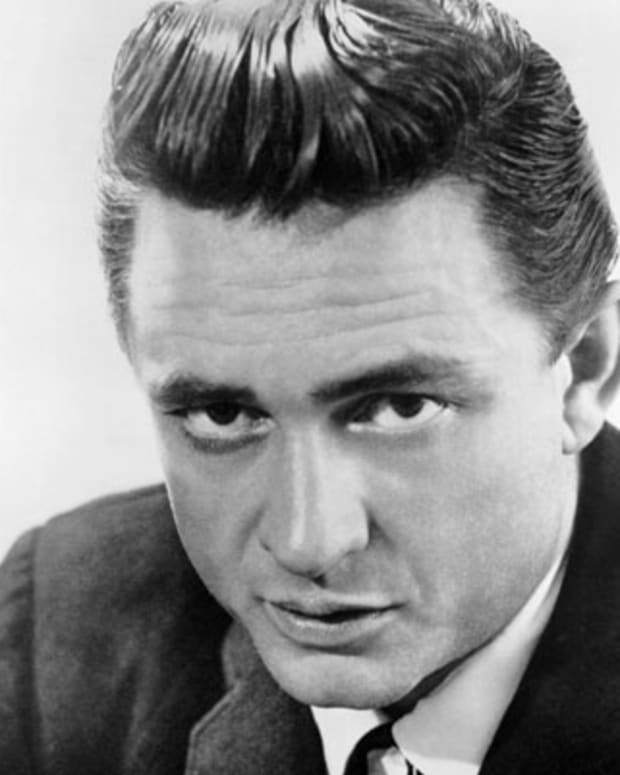 In 2009, he received a Billboard Lifetime Achievement Award and several years later became a Kennedy Center Honors recipient. More recent albums have included Corazón and Santana IV. Musician Carlos Santana was born on July 20, 1947, in Autlán de Navarro, Mexico. His father, Jose, was an accomplished professional violinist, and as a child Carlos learned to play the instrument from his father, though he ultimately didn&apos;t enjoy the tones he created. He would eventually take up the electric guitar, for which he developed an ardent passion. In 1955, the family moved from Autlán de Navarro to Tijuana, the border city between Mexico and California. As a teenager, Santana began performing in Tijuana strip clubs, inspired by the American rock & roll and blues music of artists like B.B. King, Ray Charles and Little Richard. In the early 1960s, Santana moved again with his family, this time to San Francisco, where his father had already relocated to find work. 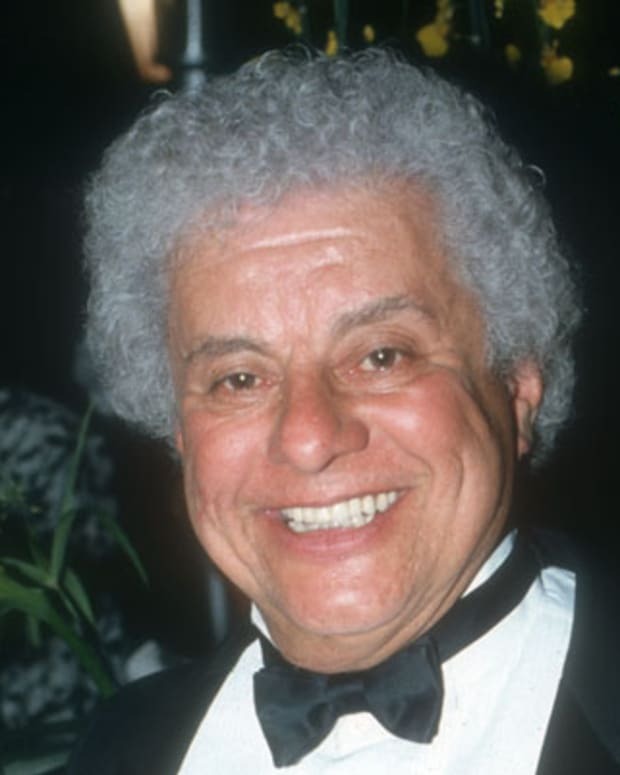 Carlos became a naturalized American citizen in 1965. In San Francisco, the young guitarist got the chance to see his idols, most notably King, perform live. 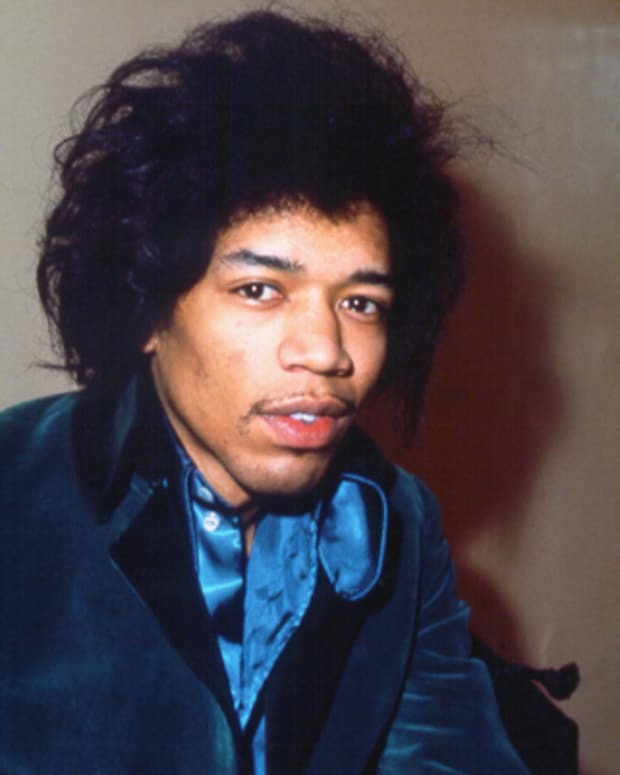 He was also introduced to a variety of new musical influences, including jazz and international folk music, and witnessed the growing hippie movement centered in San Francisco in the 1960s. After several years spent working as a dishwasher in a diner and playing for spare change on the streets, Santana decided to become a full-time musician. In 1966, he formed the Santana Blues Band, with fellow street musicians David Brown and Gregg Rolie (bassist and keyboard player, respectively). With their highly original blend of Latin-infused rock, jazz, blues, salsa and African rhythms, the band—which quickly became known simply as Santana—gained an immediate following on the San Francisco club scene. The band&apos;s early success, capped off by a memorable performance at Woodstock in 1969, led to a recording contract with Columbia Records, then run by Clive Davis. 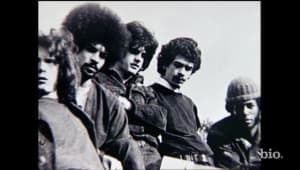 Their first album, Santana (1969), spurred by a Top 10 single, "Evil Ways," went triple platinum, selling more than four million copies and remaining on the Billboard charts for more than two years. Abraxas, released in 1970, went platinum, scoring two more Top 20 hit singles, "Oye Como Va" and "Black Magic Woman." The band&apos;s next two albums, Santana III (1971) and Caravanserai (1972), were also critical and popular successes. As the band&apos;s personnel changed frequently, Santana (the band) came to be associated almost exclusively with Santana himself—who soon became the only remaining member of the original trio—and his psychedelic guitar riffs. In addition to his work with his band, Santana recorded and performed with a number of other high-profile musicians, notably drummer Buddy Miles, pianist Herbie Hancock and guitarist John McLaughlin. 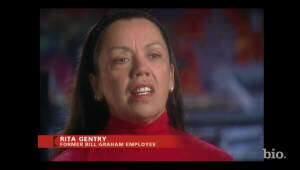 Along with McLaughlin, Santana became a devoted follower of the spiritual guru Sri Chimnoy during the early 1970s. Disillusioned with the heady, drug-addled world of 1970s rock music, Santana turned to Chimnoy&apos;s teachings of meditation and to a new kind of spiritually-oriented music, marked by a popular jazz album he recorded with McLaughlin entitled Love Devotion Surrender and released in early 1973. Throughout the 1970s and early 1980s, Santana and his band released a string of successful albums in their unique style. Notable projects of this time period included Amigos (1976) and Zebop! (1981). 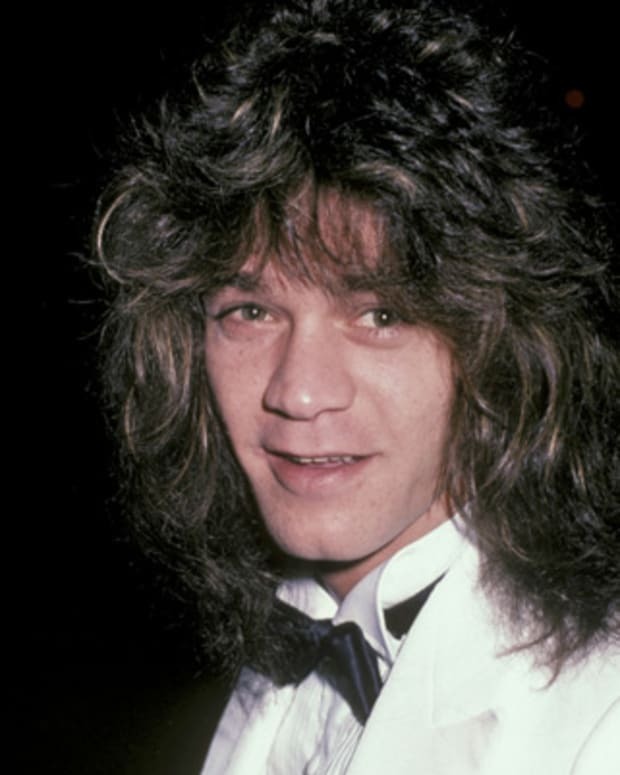 During the 1980s, he continued to tour and record both solo and with the band, but his popularity began to decrease with commercial audiences dwindling interest in jazz/rock blends. Nevertheless, Santana earned critical acclaim throughout the decade, particularly for the 1987 solo album Blues for Salvador, which earned the guitarist his first Grammy Award for Best Instrumental Performance. 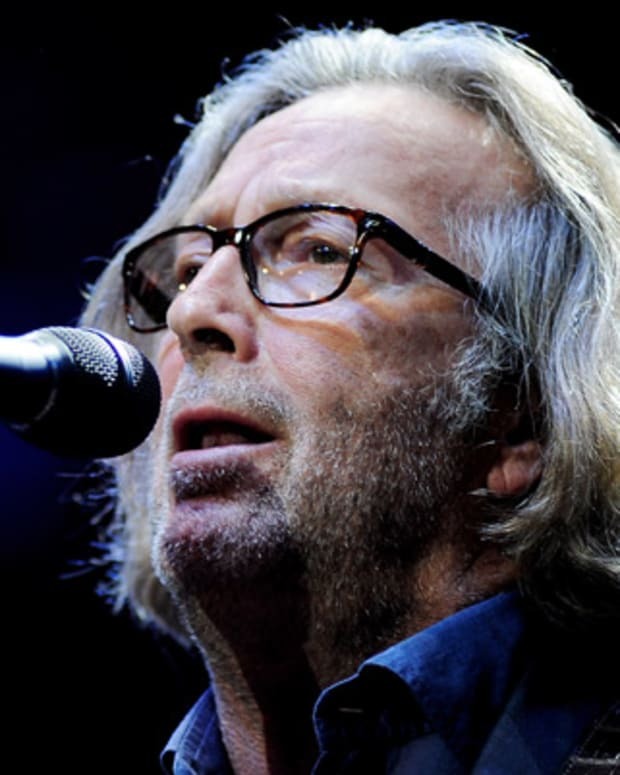 He toured extensively, playing in sold out auditoriums and on tours like LiveAid (1985) and Amnesty International (1986). Santana left Columbia in 1991 and signed with Polydor, releasing Milagro (1992) and Sacred Fire: Live in South America (1993). Though he ended his association with Chimnoy in 1982, Santana remained intensely spiritual, especially during his live performances. In 1994, he played at the commemorative concert at Woodstock, 25 years after his band&apos;s transformative performance at the original festival. Under his own label, Guts and Grace, he released a collaborative album, Brothers (1994), with his brother Jorge Santana and nephew Carlos Hernandez, that was nominated for a Grammy for Best Rock Instrumental. Later in the decade, Santana was among the 1998 group of artists inducted into the Rock and Roll Hall of Fame. 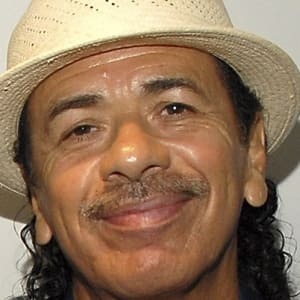 Santana&apos;s phenomenal comeback on the pop charts began in 1997, when he re-signed the band with his first producer and mentor, Davis, then the president of Arista Records. 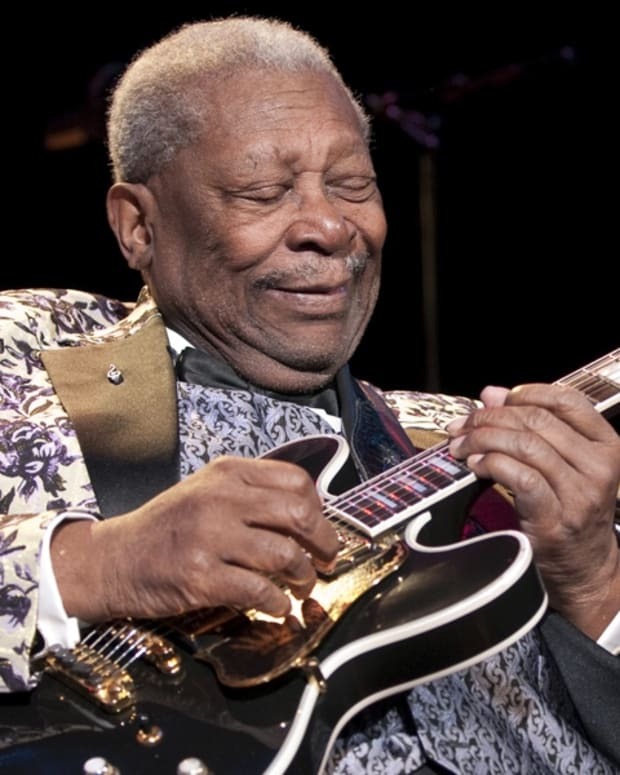 Davis enlisted a roster of prominent musicians—among them Eric Clapton, Lauryn Hill, Cee Lo Green, Dave Matthews and Wyclef Jean—to perform on the legendary guitarist&apos;s 35th album, Supernatural, released in 1999. By early 2000, the album had sold 10 million copies worldwide and spawned a No. 1 hit single, "Smooth," featuring catchy pop lyrics sung by Rob Thomas and Santana&apos;s electrically-charged guitar licks. Nominated in nine categories at the Grammy Awards, including Album of the Year (Supernatural), Record of the Year and Song of the Year (both for "Smooth"), Santana won in every category. 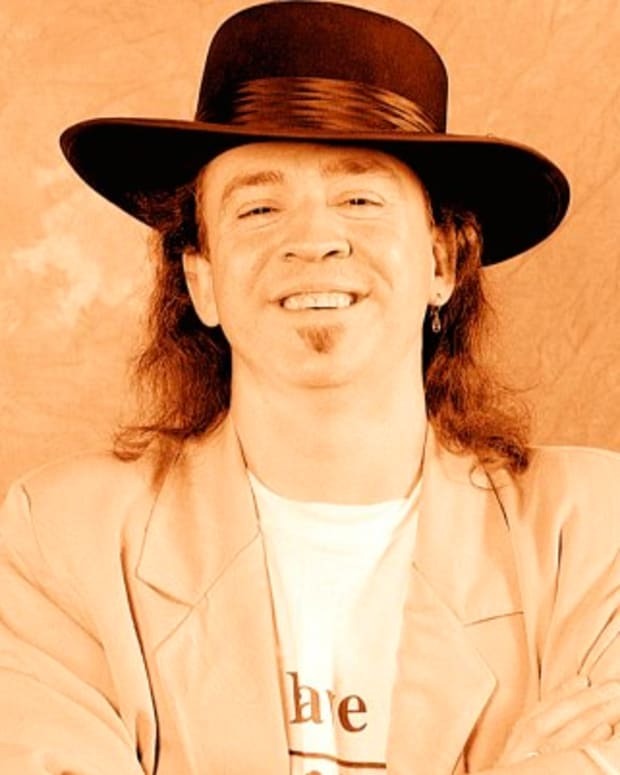 With his eight awards (the award for Song of the Year went to Thomas and Itaal Shur, who wrote "Smooth"), Santana tied Michael Jackson&apos;s 1983 record for most Grammy Awards won in a single year. Santana followed up his award-winning album with Shaman (2002), which received additional accolades. 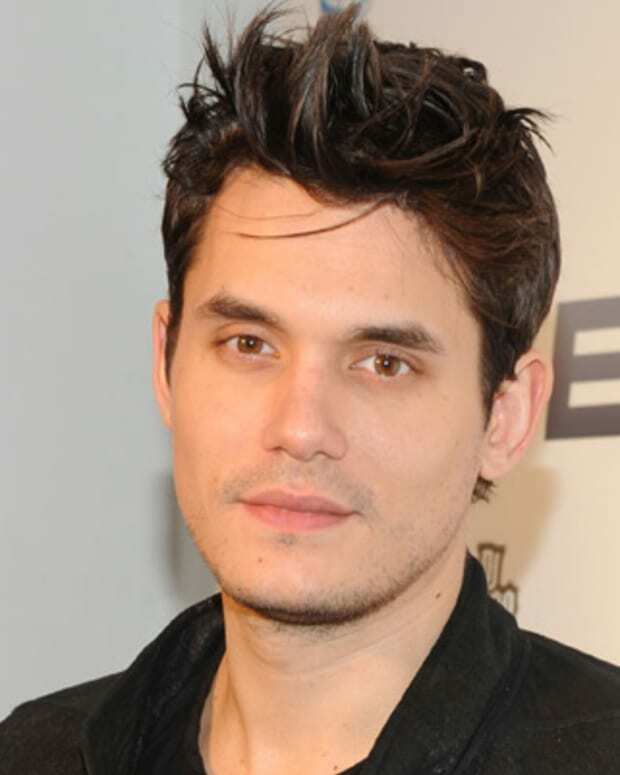 He and Michelle Branch won the Grammy Award for Best Pop Collaboration With Vocals for the top 5 song "The Game of Love." Another interesting array of collaborators appeared on Santana&apos;s next album All That I Am (2005), including Mary J. Blige, Los Lonely Boys and Steven Tyler. In 2009, Santana received a Lifetime Achievement Award at the Billboard Latin Music Awards. He also debuted his own music review, Supernatural Santana: A Trip Through the Hits, at the Hard Rock Hotel and Casino in Las Vegas that same year. Santana continued to take his music on the road, playing numerous tour dates each year. 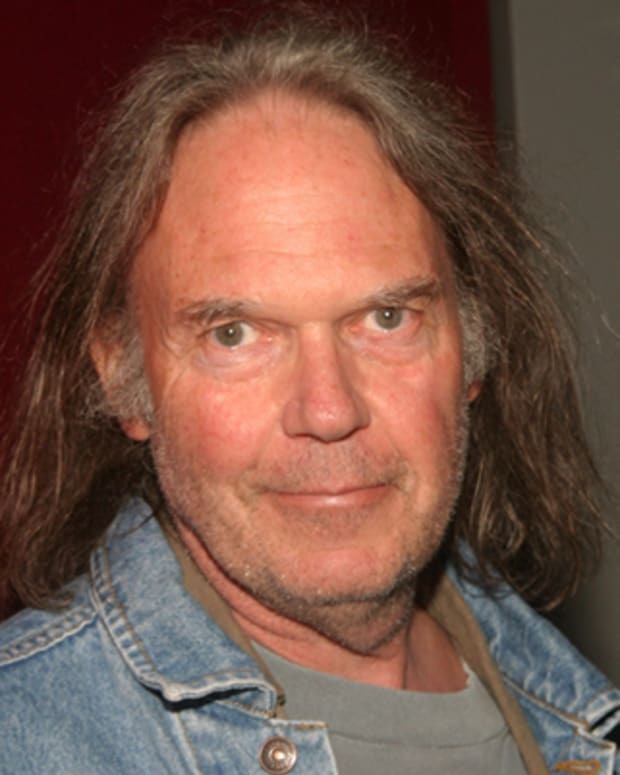 In 2013, he became a recipient of the Kennedy Center Honors. In the second decade of the new millennium, Santana continued to put forth new music as well. On his own Starfaith label, he released 2012&apos;s mostly instrumental Shape Shifter, with Corazón following two years later under RCA. The latter album once again saw Santana working with Davis and featured an array of Latino artists such as Juanes, ChocQuibTown, Romeo Santos and Gloria Estefan. Spring 2016 saw the release of Santana IV, an outing that featured a return to the guitarist&apos;s textured, more psychedelic sound with bandmates from the Santana III album. Carlos Santana lived in Marin County, California, with his wife, Deborah, whom he married in 1973, and their three children, Salvador, Stella and Angelica. On October 19, 2007, he and his wife filed for divorce, citing "irreconcilable differences." Carlos Santana became engaged to drummer Cindy Blackman, a member of his band who&apos;s previously worked with Lenny Kravitz, in July 2010. The two were married in December of that year. In 2014, Santana published his memoir The Universal Tone: Bringing My Story to Light. "I&apos;m not Latino, or Spanish; what I am is a child of light," the musician said in an NPR interview. "I want this book for people to understand that you don&apos;t have to be the Dalai Lama, or the Pope, or Mother Teresa, or Jesus Christ to create blessings and miracles."